As most trips to Japan begin their story in Tokyo, here is a three days itinerary, which will take you to all the great places this ever-surprising metropolis has to offer. By taking all of the advantages of your Japan Rail Pass, in this compact travel guide we will show you how to make the most out of your stay in Tokyo: where to go, what to see and what to do, for the best prices! After having exchanged your Pass, take the Narita Express, (included in your Japan Rail Pass) and travel to any of the following Tokyo stations: Shinagawa – Shibuya – Shinjuku – Ikebukuro – Omiya – Yokohama – Ofuna. Note: The Narita Express requires a seat reservation, which is why we recommend reserving a seat during the exchange process. There will be no extra reservation charges for owners of the Japan Rail Pass (for those coming from Haneda airport, the Tokyo Monorail stops at Hamamatsucho station). Please refer to our Tokyo metro map for details on which lines you can use. For the rest of the city transport in Tokyo, we recommend you purchase a PASMO or a SUICA card. 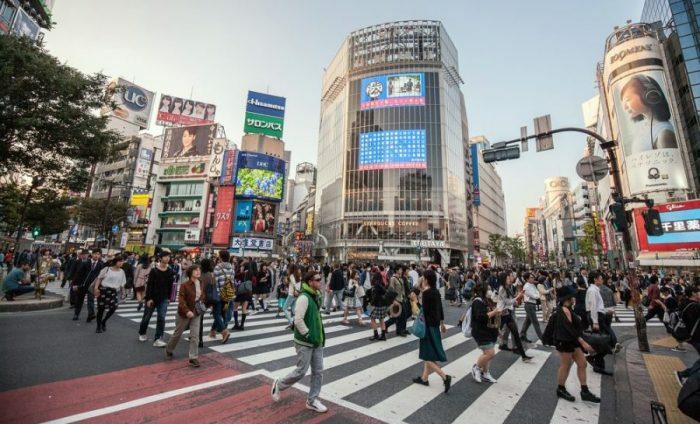 The Narita Express, as well as the JR Yamanote Metro line, will take you to one of the most famous, visited and pictured places in Tokyo: the Shibuya Crossing. Google already considers it a fully-functional synonym of the Times Square of Tokyo, because it is! 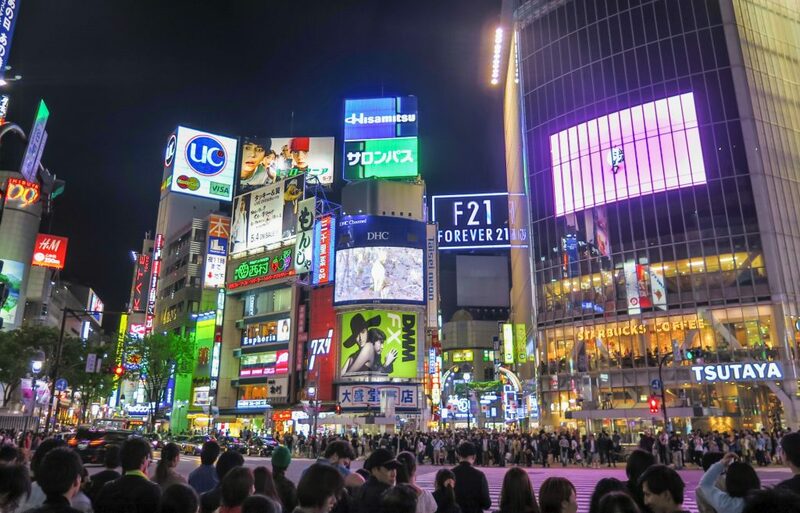 Let’s be honest – Shibuya is amazing! It is the world center of the city centers, it is where many Tokyo-natives like to drink after work, it is where the story of the most loyal dog – Hachiko – began, and also where everyone wants to take a picture. Pedestrians stand still on red light, but the second it turns green, the river of people in a hurry cannot be stopped. It is the place where the magic happens and where magic has been captured through the centuries. You can spend a whole day around the ward of Shibuya and still not get to see all of it. 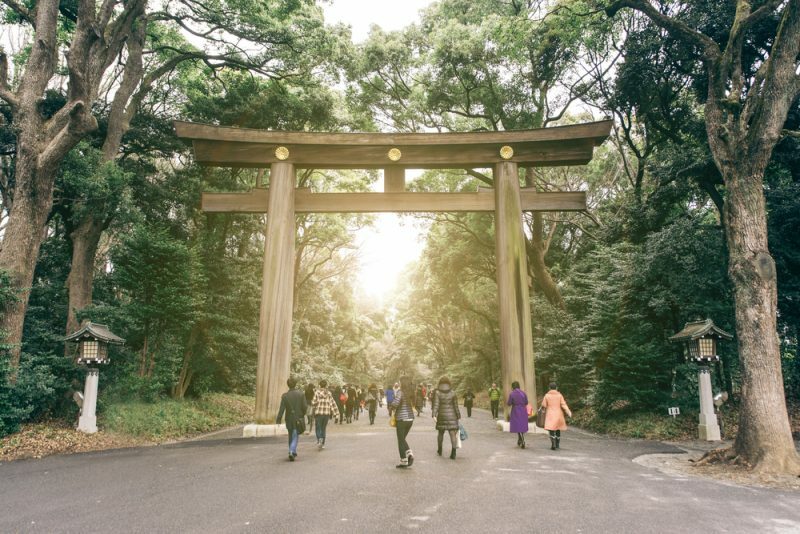 After your visit, take the Yamanote line from Shibuya Station, using your Japan Rail Pass, and visit the biggest and most famous park in Tokyo – Ueno Park. It is precisely here, where some of the most spectacular views of cherry blossoming (usually between the last week of March and the first week of April) is happening. Perfect for picnics, long walks and talks. Just next to the Ueno Park is located the famous Ueno Zoo, where children and adults of all ages can enjoy the experience of seeing over 2,600 animals, including giant pandas, red pandas, pelicans, lemurs, wolves, lions, tigers and more. Children younger than 12 years of age can enter for free, while the price for students is 200¥ Yen and for adults 600¥. A waterfront district built upon a man-made island in Toyko Bay, Odaiba has developed into one of the city’s most popular and modern districts. Getting to Odaiba means crossing the Rainbow Bridge from mainland Toyko, which boasts stunning illumination during the night. Odaiba offers a range of unique attractions including the Oedo-Onsen Monogatari hot springs theme park, futuristic technology at the Miraikan Science museum, and even a miniature Statue of Liberty in Shiokaze Park. The district offers some of the best views of Toyko’s skyline, from either the spherical observation deck of the futuristic Fuji TV Building, the Palette Town Ferris wheel, or by taking a Sea Bus across the bay to Hinode Pier. 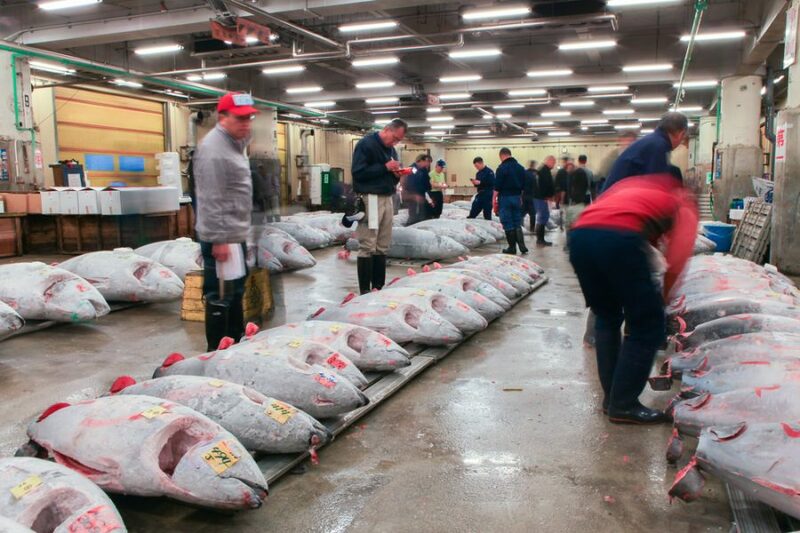 Odaiba is also the location of the new Toyosu Fish Market, where visitors will be able to experience the relocated inner market and famous tuna auctions of the old Tsukiji Market. Tsukiji’s outer market and its numerous retail outlets and restaurants can still be visited in the same location in central Toyko. While in the neighborhood, don’t miss out on the Ginza area, which will sweep you off your feet once again. The Tokyo version of Manhattan attracts many people for its clean, organized and diverse stores and restaurants. If it is only logical to take a rest, after a long morning and a tiring day of crowded streets and stores, take a deep breath and head to the Hamarikyu Gardens. They may not be the most famous, but sure are what anyone would like to experience after a busy day. Surrounded by nearby tall constructions, it is a little piece of nature, in between the concrete jungle of Tokyo. These Japanese gardens will fascinate you with a little teahouse, located on an island in one of the lakes. Visitors can sip on their tea in peace and quiet while enjoying the cultural experience. Last day in Tokyo, a day to remember, a day to take the most out of the old Japanese spirits. 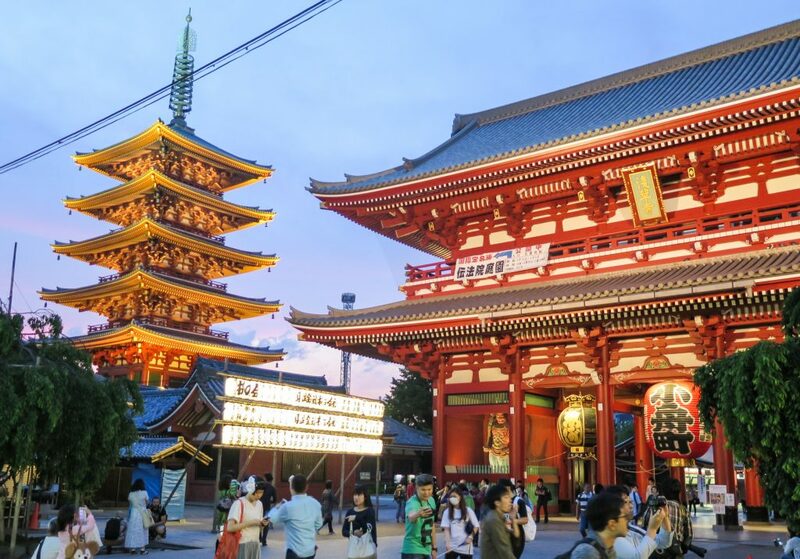 Located in Asakusa, one of the Tokyo center districts lays the area’s most famous and beautiful Sensoji temple. Build in the 7th century, it represents one of the oldest and most famous temples in Japan. However, bear in mind that most of the current building is post-war reconstruction, due to massive bombings, which destroyed large parts of the city. Most of the district has been rebuilt and has regained its popularity amongst locals and international visitors. It will take you nearly 2 hours to take a walk and enjoy everything there is to see. Don’t be blinded by the endless typical souvenir shops on the main streets and dig deeper into the hidden narrow streets of the area. You will be surprised to discover traditional kimono tailors, purse tailors, even UFO catchers! There is nothing typical about this neighborhood, just step out of the main streets. Then, after getting to know Asakusa better and enjoying the diverse and beautiful cultural experiences, cross the river and head to the Asahi Beer Hall, where you can have a cold beer on the rooftop. Tokyo is a city of contrasts, and you are going to understand this even better by taking a walk down to Harajuku area, located just next to the Harajuku station. Seeing up close the old and the new from Tokyo’s districts will tell you the story of how Japan has changed throughout the years. Going down the Takeshita Dori (Dori stands for street), you will discover the young and vibrant Japanese shopping and clothing culture. To the east, west, south or north of this point, you will find high-end stores, tiny jewelry shops, broad and diverse streets, all in one: the perfect combination of food, shopping, and culture. The only thing that might be missing in this combination is the nature aspect – not to worry! The Meiji Shrine entrance is just next to the Harajuku station. The temple is dedicated to the first emperor of modern Japan (Emperor Meiji and the Empress Shoken), and it was one of the severely damaged spiritual places during the World War II, rapidly rebuilt shortly after. Located within walking distance from the Yoyogi Park (picture below), this is a place preferred by many for its serenity, green fields and a chance to sit down, have a picnic and relax with your family and children. 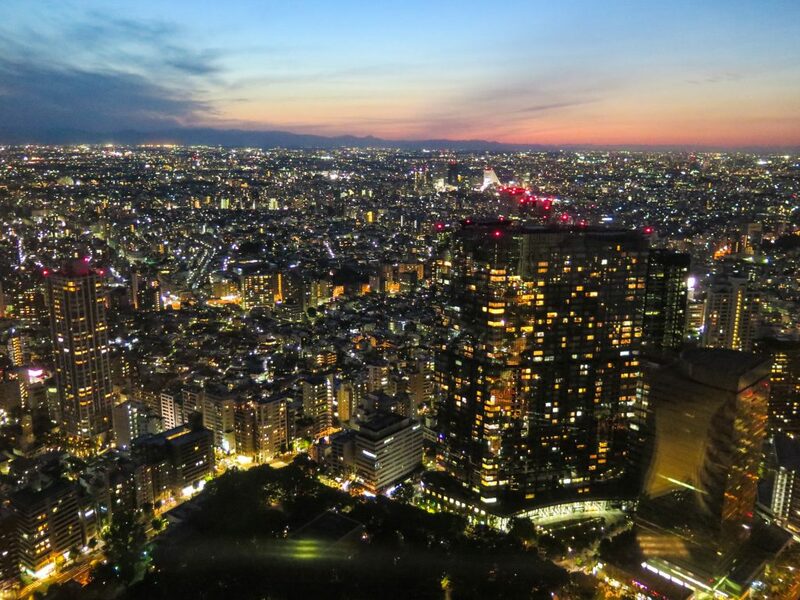 Finally, we recommend seeing Tokyo from above, before saying “goodbye.” The spectacular views from different heights and during different times of the day can completely change your perception. Visiting the Tokyo Metropolitan Government Building in Shinjuku offers the chance to see the entire city from 202 meters height, at the observation deck on the 45th floor. Hello! I tried to use the website to order the JR pass but it requires delivery. Added country and PO box to get estimated delivery date but with no luck. Do you deliver in UAE and if yes how long does it take? If not, is there any online option available so I can utilize the pass from the first day i.e. travelling from the airport to the city? Also, I was wondering how it gets activated? Yes, at jrailpass.com we do delver worldwide, which includes UAE. maximum dleivery time is 72 business hours, however we will need a physical address to deliver your order to (PO Box delivery is not available). To activate your Japan Rail Pass, please go to any JR office. They are spread through most Japanese Airports, such as Narita and Haneda. You can also find them at all the main train stations, located across the country. Once at a JR office, you will be asked to show your passport (the JR staff will look for the Tourist visa stamp/sticker) and your Japan Rail voucher (exchange order). After your personal data has been verified, you will be asked to select the activation date of your pass. This can be up to 30 days following the exchange date. After activating your JR Pass, you will be able to use it on all JR trains, buses, and ferry services. I can’t get a clear answer. The separate JR companies (east, west, central, kyushu) have different passes but is there a general pass that can be covered all over Japan? It seems that your typical responses to previous comments say the pass covers all trains, but I want to be sure before I purchase them for my parents that will be visiting. Thanks a lot! Hi JP! The Japan Rail Pass is a multi-use all-you-can-ride discounted rail ticket. It gives you unlimited access to all Japan Rail National trains, as well as JR bus services, ferry services, and airport transfers. Happy travels! Hi, we have a family of 5 going to NRT Tokyo on 6/23, from tokyo to Hakone on 6/26, onto Kyoto 6/27, then back to Tokyo 6/30 and to the NRT airport 7/1. It’s 9 days of traveling, but the JR tickets is only 7 or 14 days. What is my best option? Hi Sue! Your best option would be to purchase a 7-day Japan Rail Pass and activate it for the last part of your trip since it’s when you will be travelling further distances. The JR Pass gives you unlimited access to all Japan Rail National trains, JR bus services, ferry services, and airport transfers. A 7-day JR Pass only costs ¥29.110 which is actually cheaper than a return ticket from Tokyo to Kyoto on a Shinkansen bullet train. Happy travels! Hi Megan! The JR Pass gives you unlimited access to all Japan Rail National trains, JR bus services, ferry services, and airport transfers. A 7-day JR Pass only costs ¥29.110 which is actually cheaper than a return ticket from Tokyo to Kyoto on a Shinkansen bullet train. This means that if you make just one long-distance trip you can already save money. If you make multiple trips then you start saving thousands of yen. Happy travels! I will be arriving in Narita at the end of January 2019 and travelling straight to Osaka. This is my planned itinerary. My question is should I get JR Pass or go for regional pass? Day 9 Tokyo – Narita (return) Without JR Pass how can I get to NARITA Airport from Shinjuku economically? Hi Chris! The JR Pass gives you unlimited access to all Japan Rail National trains, JR bus services, ferry services, and airport transfers. A 7-day JR Pass only costs ¥29.110 which is actually cheaper than a return ticket from Tokyo to Kyoto on a Shinkansen bullet train. This means that if you make just one long-distance trip you can already save money. If you make multiple trips then you start saving thousands of yen. Happy travels! Yes – mentioned transfers are fully covered by the Japan Rail Pass. – The Narita Express – also known as N’EX – is the most convenient Tokyo city transfer from and to Narita International Airport. – The Kansai International Airport (KIX) services the cities of Osaka, Kyoto, Nara, and Kobe. If you hold a Japan Rail Pass, travel from the airport can be a simple and exciting process, as the Japan Railway West’s Express Haruka train offers direct transportation from the Kansai International Airport to downtown Osaka and Kyoto. 1. 14 May 7 am arrive at Haneda and plan to stay in Tokyo from 14 May till 17 May. Between 14 till 17 May will spend most of the time around Tokyo and plan for one day for Mt Fuji. 2. 17 May will travel to Osaka/Kyoto and stay there from 18 May till 21 May will be spend around Osaka, Kyoto and Nara. 3. 22 May will depart from Osaka (KIX) airport. Appreciate your advise should purchase 7 day JR pass or any suggestion of the transportation arrangement. The JR Pass gives you unlimited access to all Japan Rail National trains, JR bus services, ferry services, and airport transfers. A 7-day JR Pass only costs ¥29.110 which is actually cheaper than a return ticket from Tokyo to Kyoto on a Shinkansen bullet train. This means that if you make just one long-distance trip you can already save money. If you make multiple trips then you start saving thousands of yen. In addition, when you start factoring in the money you would spend on the metro, buses, transfers, and ferries, then the savings become a must. A return transfer from Narita Airport is over ¥2.600 and a one-day metro and bus pass in Tokyo costs around ¥1.590. Wir kommen am späten Nachmittag (22.Oct.) in Narita an und möchten zu unserem Hotel (Villa Fontaine Tokyo-Kayabacho, 1-8-2 Shinkawa Chuo-ku, Tokio 104-0033 JP) gelangen. Einen 21-Tage Japan railpass haben wir bereits, den wir aber erst mit dem Mittw. 24.Oct. aktivieren möchten. Es sind zwei Tage in Tokio geplant. Welches Ticket für die öffentlichen verkehrsmittel würden Sie empfehlen? Können wir mit dem Tokyo Subway Ticket auch vom Narita Flughafen in das Hotel gelangen? Hi there, I will be in Tokyo in October for 3 days, then I will head to Kyoto where I am going to stay for four days before coming back to Tokyo. It seems the JRails pass card doesn’t cover most metro lines in Tokyo and I would need to buy extra tickets. It covers the train trip to Kyoto though. Since I have only 3 days, I need to reach the main sightseeing points in the city as fastest as possible… Is there any other integrated system that covers the metro as well? Can you please advise me on it? Thanks a lot. I plan to be in Japan (visiting Tokyo/Kyoto) for a total of 8 days (including the arrival and departure days) in October. Im looking at the JR pass options: the 7 days option falls just short while the 14 days is just too much. I land (fly into) in Tokyo the afternoon of day 1 and plan to stay in Tokyo the first night in Japan. Does it make sense for me to purchase an IC card for my family for the first day and the JR pass (7 days) to cover the rest of my stay in Japan? Additional question, with IC card is travel for kids (4 years old) free or do I need to purchase an IC card for my kid as well? Your idea sounds great since the Japan Rail Pass is more cost effective when one travels. Should you be staying at Tokyo for the first day of use, it makes perfect sense to get a prepaid IC Card and then make use of the nation-wide pass. Generally those cards such as PASMO and SUICA are free for kids under 6 years old as long as they travel on their parents’ lap in case of full trains – that is, they cannot occupy a seat for themselves. We are going to Osaka in October for a week. Is a little unsure if we also want to Tokyo. The only option to buy JR Pass is abroad, if we do so and do not want to use the tickets, you will get the money back? From Osaka we want to travel to Suzuka Circuit just for a day to watch F1, there are buses or regular trains on this stretch? Would go early in the morning and come back to Osaka after the race. What do you think is it possible? Upon purchasing the Japan Rail Pass from an official vendor such as JRailPass you will be entitled to get a refund as long as you haven’t exchanged the voucher into the actual pass. The trip between Osaka and Suzuka Circuit is partially covered by the Japan Rail Pass. You can get the JR Kawarada (included) and from there you can take the non-JR Ise Testudo line (approximately 300 JPY the single ticket). It will get you straight to the circuit. Btw. The pocket wi-fi is rentable, no need to buy one. Hi! Me and my partner were planning a visit to Japan from November 20-27 2018. Hi Florida! We would go for the Japan Rail Pass since it seems you will be covering different areas of the country. The Japan Rail Pass is a multi-use all-you-can-ride discounted rail ticket. It gives you unlimited access to all Japan Rail National trains, as well as JR bus services, ferry services, and airport transfers. To travel with your 7-day Japan Rail Pass, means to have the unique opportunity to discover the whole country at a cheaper price than a Tokyo to Kyoto return ticket, on a Shinkansen bullet train. Compared to standard Japan train tickets, the JR Pass represents the biggest discount on Japanese public transportation that you can get. Happy travels! I’ll be visiting Japan for 7 days, spending time in Tokyo, Kyoto and Osaka. I tried buying a 7 day JR pass but the price is for 2 people. I tried to change the #of travelers to one, it still shows the price for 2. How can I purchase a pass for one? Also, on this site you have mentioned for single train tickets there is an option to use Hyperdia. I tried the site , there’s useful information but no where to book train tickets. Please help. Hi Mitra! When purchasing at http://www.jrailpass.com you can delete passengers all over the buying process. Should you have difficulties we strongly recommend you to send a message to info@jrailpass.com. Hi, my family (2 adults 1 child) are going to Japan for 10 days and 9 nights around the country, arriving in Narita Airport and staying in Tokyo for the first 3 nights. We are thinking of buying the Narita Express (One Way) to get from the airport, and the Japan Rail Pass for 7 days to use all of the Shinkansen lines when we leave Tokyo. For the other two days in Tokyo, would you recommend daily rail passes, or something else, or is it better value to buy a 14-day Japan Rail Pass? If you are not leaving Tokyo during these 2 days, it might be better to acquire an IC prepaid card such as SUICA or PASMO. Which one you choose will likely depend on which station you come to first. Our family is visiting Japan this summer. We will be in Tokyo for 4 days & then Kyoto for 3. We only need train tickets to go from Tokyo to Kyoto (by bullet train) & then Kyoto to Kansai International Airport (Osaka area). When I priced it out, it seems more economical to buy individual tickets rather than JR passes (approximately $150/person versus $261/person for standard JR pass). * Can I buy individual train tickets online before we travel? * If not, can I purchase them at Tokyo Station & Kyoto Station on the days we want to travel? Or do you recommend buying them a few days before we want to travel since summer is a busy tourist season? * And lastly, do you recommend upgrading to first class (if available)? Hello! We will be arriving at Narita Airport in the late afternoon on Sunday, then spending the night in Tokyo. The following day (Monday) we want to travel to Kyoto and stay for 6 days. During those 6 days we will tour Kyoto then take day trips to Osaka and Nara. We will then return to Tokyo on the 6th day (Saturday). We want to then tour Tokyo for the next 5 days. What is the best ticket option(s) for us to travel by train, bus and subway on this trip? We were thinking the 7 day JR Rail Pass to use during the first 7 days, then getting a Suica or Pasmo for our stay in Tokyo. Also, what is the easiest way to pick up a JR Pocket Wi Fi if we are arriving at Narita Airport? Thank you for your help! I will travel from Okayama station by JR bullet train Nozomi 124 to arrive to Shin Osaka station at 11:18AM and then I need to connect to JR Ltd Exp Haruka 21 that departs at 11:30 AM to go to Kansai Airport (my flight departs at 15:30). I am worried of the transfer time needed in Okayama station; is 12 minutes enough not to miss my departure to Kansai Airport? I have been looking for a map that tells me what door or platform I arrive to and to which one I need to transfer. Also, is this included in the JR Pass? The JR Pass is valid on the Kodama, Hikari and Sakura types of Shinkansen, but is not valid on the Nozomi and Mizuho classes. You will not have access to the ‘Nozomi’ and ‘Mizuho’ Shinkansen that are the fastest trains on the Tokaido and Sanyo lines. However, you have access to the ‘Hikari’ or ‘Sakura’ Shinkansen that cover the same routes. The Hikari and Sakura bullet trains reach the same top speed as the Nozomi and Mizuho trains and use the same type of actual train, but have more stops along each route. For example, from Tokyo to Kyoto, the Hikari takes 15mins more than the equivalent Nozomi. Should you travel with a Japan Rail Pass, we recommend you to search for the equivalent Hikari train. Haruka Express is fully covered by the pass. We hope you enjoy your trip! I will arrive at Haneda on Apr-6 around midnight and depart from Haneda on Apr-13 at midnight. I will have a 7-day JR pass and my last train would be from Kyoto to Haneda on Apr-13 around 19:00. When should I activate it ? is it valid for 7 calendar days or 7*24hours ? The Japan Rail Pass validity period is calculated in days, not in hours. Therefore, if you have purchased a 7-day pass and your activation date (when you first use the pass) is the 6th of April, the exact expiration time will be midnight on April 12. Tokyo and Nasu-Shiobara Stations are connected by hourly trains along the JR Tohoku Shinkansen – 75 minutes and fully covered by the Japan Rail Pass! Nasu Alpaca Farm is about 35 km from JR Nasu-Shiobara station. To assess how to get from the station to the farm we recommend you to check their official website. We are traveling to japan on july for 4 days. 1 day in tokyo mostly akihabara, shibuya, harajuku and ikebukuro. 1 day round trip from tokyo to kyoto. And spend the rest of our time in tokyo. Will the 7 day jr pass cover all this trip and save a lot more or should we just get a suica card and link the card for the shikansen app. – Transfer from Narita Airport to central Tokyo in the Narita Express, which would cost you between 3,020 and 6,160 yen each way depending on the destination you are travelling to. – JR lines within Tokyo: the Yamanote Line, the Keihin-Tohoku Line, the Rapid Chuo Line, the local Chuo-Sobu line and other metropolitan lines that circulate on the outskirts of the city such as the JR Keiyo, Musashi, Nambu and Yokohama lines. We also recommend you to check our article Best 5 day trips from Tokyo by train to assess on the best day trips you can make from Tokyo using your Japan Rail Pass in case you have spare time. Can we use the 7 day pass to travel to all these locations and return back to Tokyo? 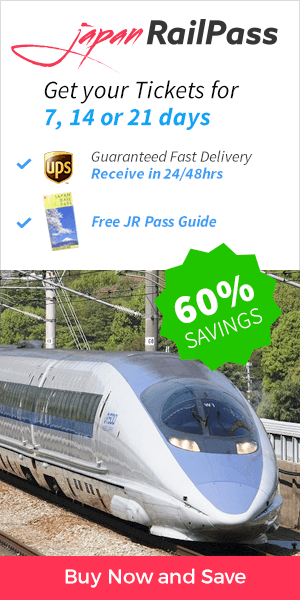 – Getting from Tokyo to Kyoto with the Japan Rail Pass is easy. You should take the Shinkansen Hikari train from either Tokyo Station or Shinagawa Station in central Tokyo, and arrive at Kyoto Station. – Use of local JR lines in Kyoto, which include the Sagano Line and the Nara Line. – Travelling between Kyoto and Osaka is now easier than ever. Just take the Hikari train on the Tokaido Shinkansen line. You will get between Kyoto Station and Shin-Osaka Station in less than 30 minutes. – Unlimited trips in the Osaka Loop Line, which “loops,” or circles, through downtown Osaka. – Going to Hiroshima will also be easy: from Osaka city center, take the JR Haruka Express to Shin-Osaka Station, then transfer to the Sanyo Shinkansen line (westbound, Hikari trains). This trip takes approximately 2 hours and 40 minutes. – To get from Hiroshima to Tokyo, you can take the Sakura train that will take you to Shin-Osaka station. You will then transfer to the Sanyo Shinkansen line’s Hikari bullet train from there to Tokyo Station. And not only this, but you will also entitled to use your Japan Rail Pass for your transfer from the airport (either Haneda or Narita) to central Tokyo and in 5 local JR in Tokyo (the Yamanote Line, the Keihin-Tohoku Line, the Rapid Chuo Line, the local Chuo-Sobu line and other metropolitan lines that circulate on the outskirts of the city such as the JR Keiyo, Musashi, Nambu and Yokohama lines). We hope you have an amazing trip! Planning on going to Tokyo in July with 7 day pass. Would like to visit Niihama for a day. Can I use JR pass from Tokyo to Niihama? How long will it take to get there? Is it worth traveling to Niihama for just a one day stay there? – Once you get to Okayama you need to transfer to Shiokaze Limited Express train and travel all straight to Niihama. is JR pass an option to travel from osaka to KIX? Yes it is! Japan Rail Pass holders are grantes access to the Haruka Express, which will take you between Kansai Airport and Shin-Osaka Station in a joruney of about 1 hour. We hope you have a great trip! we will travel on dec with my family.are we going to use jr pass from shinjuku to osaka? if yes how can we purchase it? Yes, you can travel from Shinjuku (Tokyo) to Osaka using the Japan Rail Pass. You will just need to take the Yamanote line at Shinjuku and travel to either Shinagawa or Tokyo stations. To get from Tokyo to Osaka, you will need to take wither the Hikari bullet train or Kodama. Both run on the Tokaido Shinkansen line, connecting the two cities. The Japan Rail Pass can be purchased here. We hope you have an awesome trip! I’ll be spending 6 days in central Tokyo for buisness and has to travel to Kyoto for the weekend. Is JR 7 days pass the most economical round trips from Tokyo to Kyoto, narita airport to Tokyo and travel subway within central Tokyo? The Japan Rail Pass will cover most of your trip but not all subway transportation within Tokyo. To assess if the nation-wide pass is the most economical one for your concrete trip we recommend you to check which would be the price for the individual ticket of each part of the itinerary at Hyperdia, and them compare them all to the cost of the Japan Rail Pass. Hi ! We are travelling to Tokyo in 03 till 06 Nov from Singapore. If i purchase the JR pass online now , how do I get my exchange order ? And the shortest is 7days and there’s no 72 hours kind ? If to travel from Tokyo to Mt Fuji, possible to use JR pass? And what’s the best recommended route? If you purchase your exchange order in http://www.jrailpass.com you will receive my ordinary mail the physical order. Please note it is not possible to use any electronic confirmation: Japanese regulation regarding Japan Rail Pass is very strict and thus you won’t be able to exchange your pass without the physical exchange order. The validity period of the Japan Rail Pass is either 7, 14 or 21 consecutive days. JR Pass cannot be extended by 1,2, or more days. It is available for 7,14, and 21-days, non-extendable and non-transferable. My wife and l (both 70+) are going on a organised 11 day tour in late March 2018 of Japan which uses Shinkansen (Bullet Trains) and buses. The tour starts in Tokyo (only 1 day)and finishes in Osaka, and we’d like to return to Tokyo to see more for about 3 more days, before flying back to New Zealand. We haven’t as yet organised any tickets to get back to Tokyo (Ginza / Tokyo Station area. 1) Should we purchase a 7 day Rail Pass or buy a One way ticket or fly ? 2) If we purchase a 7 day Rail Pass can we use it on Tokyo subway or Metro, plus can we use it to get to Narite Airport when we leave ? We’re going to finish an organised tour in Osaka, and would like to go back to Tokyo. Should we purchase a 7 day Rail Pass, or buy a One way ticket ? If we purchase a 7 day Rail Pass can we use it onTokyo’s subway and get to Narite Airport ? For the exact cost of each train ride please check Hyperdia – the number 1 Japanese online transportation planning tool. Please note that the Japan Rail Pass is more useful the more you travel and the far you do so it will always depend on the use you are going to give to the pass. Please note all subway in Tokyo is not included in the Japan Rail Pass. Included lines are the following: the Yamanote Line, the Keihin-Tohoku Line, the Rapid Chuo Line, the local Chuo-Sobu line and other metropolitan lines that circulate on the outskirts of the city such as the JR Keiyo, Musashi, Nambu and Yokohama lines. Regarding transport to Narita Aiport, the Narita Express is fully included in the Japan Rail Pass. It will take you from central Tokyo to Narita Airport. I understood that we have to exchange the Japan Rail Pass at the airport once we arrive to Japan (we will be landing in Narita Airport Terminal 1), question is we will be landing at the time where the working hours of the Service centre – Exchange office will be closing (we land at 7pm local time). So is there other alternative to exchange the pass? To activate your Japan Rail Pass you will need to go to any JR office. They are spread through most Japanese Airports and you can also find them at all the main train stations, located across the country. For detailed information on the JR Offices, their location and opening times, take a look at the JR Exchange Offices full list. For your stay in Tokyo you will be entitled to use the transportation mentioned in this article at no additional cost. Should you want to visit any other corner of the city that is not reachable with the stated lines you should use any other Japanese IC card. You will also be able to reach Gunma with your Japan Rail Pass, specially if you want to reach Takasaki which is the biggest station of the prefacture. I will be traveling to Tokyo in October for business, which will require me to also travel to Nagano. I arrive in Tokyo Tuesday, then depart for Nagano on Wednesday. On Saturday I am meeting my sister in Kyoto for 4 days to sightsee and then we will travel back to Tokyo to fly out. What’s the best option for bullet train tickets and travel for me? Is it better to do one way ticket on travel days or purchase a pass 7 or 14 day pass. Other than traveling to and from destination cities, we won’t be on the train. Please be aware that the Japan Rail Pass is only aimed for those travelling to Japan under a Tourist Visa. Should you be granted any other type of visa, you wouldn’t be entitled to use it. The Japan Rail Pass would cover your trips from airport to central Tokyo, from Tokyo to Nagano and from Nagano to Kyoto. Hi! My family and I (5 people) are arriving in Narita on 8/6. With the arrival day, 8/6 early afternoon and departure day, 8/10 at 2:00 PM are what I consider as travel days, should I purchase a JRP for each of us that’s good for 3 days of sightseeing only? If so, how much would it cost for each of us? Please give me suggestions and recommendations as to what is best. We will be staying in Nagatacho, Chiyoda-ku. Thanks! The Japan Rail Pass is valid for either 7, 14 or 21 consecutive days. It is not possible to purchase an option with fewer days. The most updated price can be found at jrailpass.com. The best option for your will always depend on your travel plans: the Japan Rail Pass should a better fit if you are planning to travel through the whole country than if you plan to stay within the same city. – The Yamanote Line is a loop line which passes through Tokyo’s various city centers and numerous stations, including Tokyo, Ueno, Ikebukuro, Shinjuku, and Shibuya Stations. – The Keihin-Tohoku Line runs parallel to the eastern side of the Yamanote, and can be accessed from Tokyo, Ueno, and Shinagawa Stations. On the western side, the Yamanote is complemented by the Saikyo Line. – The Rapid Chuo Line can be accessed from Tokyo and Shinjuku Stations. – The local Chuo-Sobu line services both east and west Tokyo, from Chiba to Mitaka, passing through Akihabara, Yoyogi and Shinjuku Stations. Ryogoku Station can be reached from this line, providing access to the Kokugikan Sumo tournament arena. In Osaka you will be able to use the Osaka Loop Line, which circles through downtown Osaka. Numerous trains in and around Kyoto can be accessed using your Japan Rail Pass in Kyoto. Local Kyoto JR lines include the Sagano Line and the Nara Line. HI I’m planning to trip this July 28 til 31 in Tokyo… Utang i don’t have idea which are the best view I can visit in Japan.. But I have already planned one day July 30 in desneyland…from narita airport you can go to bullet train to Osaka? I think my hotel in Osaka Tokyo. From Narita Airport you can take Narita Express to central Tokyo. This trip is fully covered by your Japan Rail Pass. To get from Tokyo to Osaka, you will need to take either the Hikari bullet train or Kodama from Tokyo or Shinagawa stations in central Tokyo. Both run on the Tokaido Shinkansen line, connecting the two cities. Hi Planning a trip to Tokyo for 3 days and Kyoto for 3 days then back to Tokyo on the 7th day . Flying back to Manila from Narita. What time should I leave Kyoto if my flight is in the afternoon? To go to Narita Airport you can take the Narita Express, which takes approximately 1 hour to get from Tokyo Station, 1 hour and 15 minutes from Shibuya Station and around 1 hour and 20 minutes from Shinjuku Station. Hi how much is the cost of 3 days tour in Tokyo? This is not a tour but a recommended itinerary within the city that will help you get the most out of your Japan Rail Pass. For additional details regarding sightseeing Tokyo we recommend you to also check our article on the JR Yamanote line, which is probably the most popular and convenient way for getting around Tokyo and that is included in the Japan Rail Pass. Hi there! We are traveling to Japan from June 7-14,upon purchase days before can I get the pass delivered to my hotel in Shinjuku new city hotel? And upon arrival early that morning ..what is the next thing to do ?pls respond asap ..thanks.. Yes – we do ship orders straight to your acomodation in Japan. Please just make sure to provide the address correctly written and in English to avoid any delivery problem. can we use the JR pass going to Kyoto? we are going to Kyoto for 3 days. (bullet train) please let me know. Sure you can use your Japan Rail Pass going to Kyoto. Actually you can use it to get there from the airport and to move from other main cities and within Kyoto. Hi! Our port of entry and exit is Nagoya. We will arrive on July 1 and head to Tokyo on July 2. We plan to go back to Nagoya on July 6 as our flight departing Nagoya will be on July 7. Can you advice on which JR Pass will we purchase? Can we use the JR Pass within Nagoya as well? You won’t be able to use your Japan Rail Pass within Nagoya; however you can use it to travel from there to almost any other location in the country. The best pass for you will depend on how much you want to travel – the Japan Rail Pass will save you more money the most you travel around the country. i need help with deciding on the type of JR tickets I need to purchase for my trip. I’m flying into Haneda Airport on 11/4. Here’s my itinerary 11/4-6 TOKYO, 11/6-8 OSAKA, 11/8-11 KYOTO, 11/11-14 TOKYO. If I buy a 7-day JR ticket to travel from Tokyo to Osaka, Kyoto and back to Tokyo (11/6-11 = 6 days), what other type of transportation do i need to buy in order to travel around Tokyo? Please refer to our Getting around Tokyo with the JR Pass article for more detailed information on what transportation included in the Japan Rail Pass can you use to move around Tokyo. However there will be parts of the city that you won’t be able to reach with the pass and thus you might want to also count on a PASMO card, available for non-Japan Rail transportation in Tokyo, such as the Tokyo railway, Tokyo Metro subway system, and city buses. The Pasmo Card can be purchased at Tokyo Metro stations. Hi! My family and I will have our vacation in Japan next week. We’ll be arriving Narita, Tokyo on April 18 and be back in Manila on April 23. Can we purchase the JR Pass upon our arrival in Narita International Airport ? You and your family can purchase the Japan Rail Pass in Narita Airport, however, keep in mind that the price will be about 20% higher than purchasing it online. Hi, me and my wife are arriving in Fukuoka on Oct17 with flight back to Manila on Oct24 – 7 days! Can we purchase our JR Rail Pass upon our arrival in Fukuoka with our US$? Unfortunately, the Japan Rail Pass is not sold in Fukuoka. The easiest option will be to order it online at http://www.jrailpass.com a month in advance before your planned departure date. You will be able to exchange the pass at Hakata Station, which is just a short metro ride away. This is the fastest, easiest and worry-free option for your and your wife. Every time I visit Tokyo, I spend time in Asakusa and wander around the Sensoji temple. There’s a special energy to that place; a hustle and bustle with street vendors, tiny shops, and something to look at everywhere you turn. Another spot I recommend is visiting the Mori Art Museum in Roppongi because there are always high-quality exhibits year-round. Hi May I know what JR Metro Lines are included in the JR Pass aside from the Yamanote Line? Thanks. Discover Japan and plan your trip with us: travel guides, transportation tips, useful resources, itineraries, recommendations and much more! Make the most of your trip! Subscribe to our monthly newsletter to get the latest and best Japan travel tips.